Carolyn's View was opened for business in 2006 by Edzra and Carolyn after spending 36 years abroad and decided to return home and build a guest house for our family and friends to come and visit. 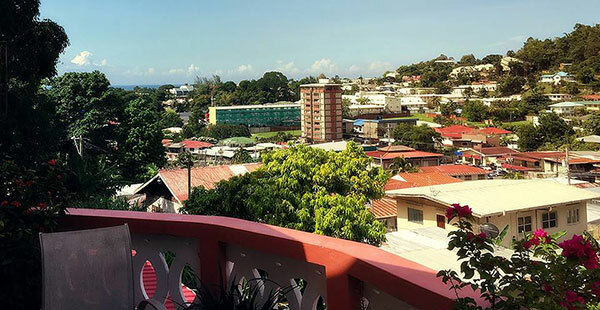 We are located just 30 minutes from the Piarco International Airport, 35 minutes from Maracas Beach, within 5 minutes of the Queens Park Savannah and Downtown Port of Spain. There is easy access to transportation, Shopping Malls, Grocery stores, Restaurants, Bakeries and lots of Night life. Carolyn's view is a self-contained apartment with two double beds that sleeps up to 4 people. The apartments are fully furnished including a living room and a fully equipped kitchen plus patios in the front and back of the apartment. 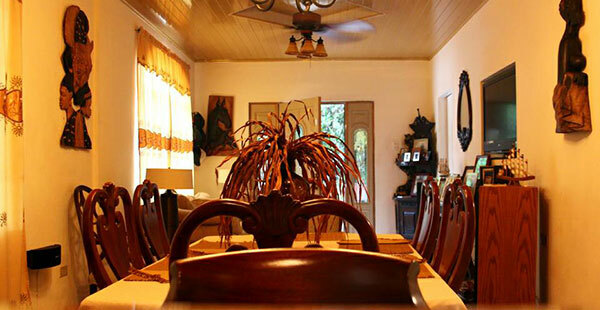 It is located in the quiet area of Maraval, perfect for short and long term visitors. Our job is to make sure our guests are comfortable. Carolyn's View is your "Home away from Home". 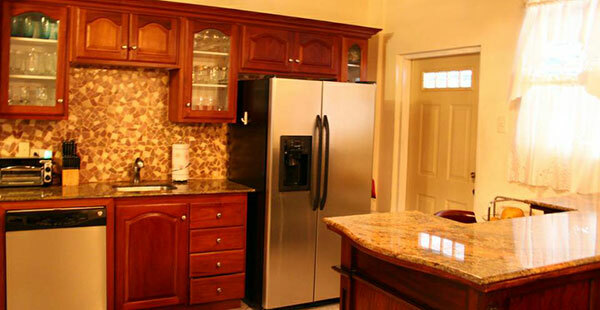 Large family room, Private bath and kitchen. A One Night deposit is required for Reservations to confirm your room. Cancellation within Two Weeks of your arrival date will result in the forfeiture of your deposit.